Asbestos is not particularly widespread in South Dakota, but it continues to pose health threats to the state's residents. Although South Dakota's largest economic sectors — tourism, services and agriculture — are not strongly associated with asbestos exposure, any building materials or products containing the mineral can release dangerous airborne fibers if disturbed. Several natural deposits of asbestos can be found near South Dakota’s western border with Wyoming. A second mineral similar to asbestos also occurs naturally in some locations throughout the state putting surrounding populations at risk for developing mesothelioma and other respiratory illnesses. Compared to most other states, South Dakota has far fewer cases of asbestos exposure. 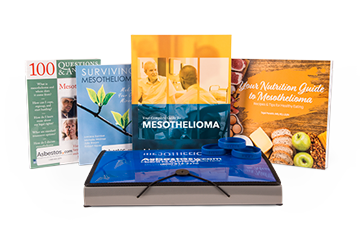 The state ranks 41st in the country for mesothelioma and asbestosis deaths, with a total of 91 deaths from asbestos-related illnesses from 1999 to 2013. This number dwarfs in comparison to other states where thousands of deaths have been attributed to asbestos exposure during the same time period. Anyone who inhales airborne asbestos fibers is at risk for serious respiratory illnesses including mesothelioma, asbestosis and lung cancer. 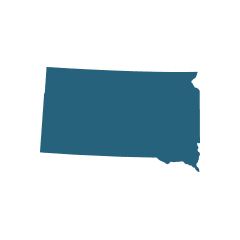 For those in South Dakota burdened by an asbestos-related disease, the state has several medical facilities that provide treatment options. Even with a relatively low number of asbestos-related deaths in South Dakota, certain occupations put workers at risk for dangerous levels of asbestos exposure. For example, workers at any of the state’s four hydroelectric power plants could be at risk for asbestos-related disease. These power plants use mechanical components called turbines that often contain asbestos. Power plant employees who work with these turbines could inhale toxic asbestos fibers if they become airborne. Mechanics at any of South Dakota’s auto repair facilities are also regularly at risk for asbestos exposure. Asbestos is commonly used in vehicles to prevent friction, specifically in brake and clutch components. Workers who handle these parts may inhale asbestos fibers. Asbestos exposure has historically been most prevalent in industrial, manufacturing and construction sectors. Aging industrial machinery containing asbestos insulation has been known to deteriorate and release fibers over time. Several other occupations in South Dakota are associated with an increased risk of asbestos exposure, though documented cases may not have been reported. Deposits of asbestos also form naturally in one specific area of western South Dakota. A close group of deposits can be found just miles south of Mount Rushmore in Keystone. These include occurrences at Homestake Gold Mine, Iron Mountain, one unnamed former asbestos prospect and near Jewell Cave National Monument. Environmental exposure to asbestos does not usually pose health threats, but if deposits are disturbed through mining or other human activities, asbestos fibers can become airborne and affect the health of surrounding populations. Ellsworth Air Force Base, located near the city of Box Elder, is South Dakota’s second largest employer. Before the dangers of asbestos were well-known, United States military facilities made extensive use of the material for insulation and fire resistance purposes. Asbestos can be found throughout the Ellsworth Air Force Base’s numerous buildings, weapons, vehicles and housing. Despite the Air Force’s efforts to eliminate exposure through asbestos management plans, years of constant exposure likely occurred, placing service personnel at risk for asbestos-related diseases. A health hazard of large proportions may be brewing in South Dakota, the extent of which still remains unknown. Over the past few decades, certain areas of the state have been found to contain natural deposits of a toxic mineral called Erionite. Like asbestos, erionite is a fibrous mineral known to cause mesothelioma and other respiratory illnesses after prolonged exposure. Rocks contaminated with erionite have been found in gravel pits in South Dakota and at least a dozen other states. Further, gravel from these pits is known to have been used to pave roads and parking lots. As vehicles drive over erionite contaminated gravel, toxic fibers are released into the air putting motorists and pedestrians at risk for mesothelioma. Some sources estimate that erionite may be 800 times more likely to cause cancer than asbestos. The health ramifications of this discovery could be huge. Within three villages in the country of Turkey, erionite exposure claimed the lives of as many as 50 percent of the residents. Because this mineral is not yet well known or regulated, scientists are unsure of the danger that it currently poses. Ongoing studies will hopefully reveal the full extent of the associated dangers.